I feel the same way about all my support/grip equipment — it's what you trust (key word) to hold or hang all of your expensive gear in the air, and one place you shouldn't skimp on, especially since doing it right the first time doesn't really cost all that much more than going cheap and having to buy again. As with lenses or any other critical part of your kit, "buy one, cry once". 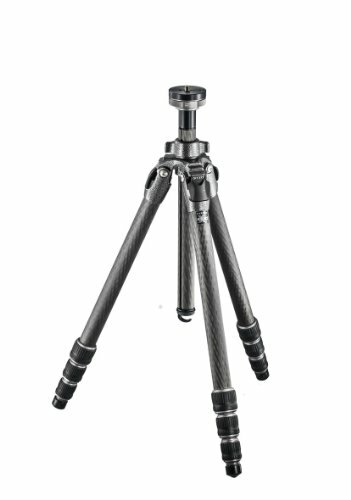 I want to walk through some of the different tripods I own, and why I purchased them. I guess this could also serve as somewhat of a "buyer's guide" as well, if you're in the market for a tripod, though I can only comment on what I personally own and use, so by no means will this be a rundown of the "best tripods in 2017" or anything like that — it's just what I've chosen to use, and will likely serve you well, too. For $199, you really do get a lot of tripod for the money — it's lightweight at 3.6lbs (1.6kg) all-in, It supports up to 17.6lbs (8kg), and it comes with a strong ballhead that is capable of even supporting a full-sized pro body, like my 1DX Mark II. 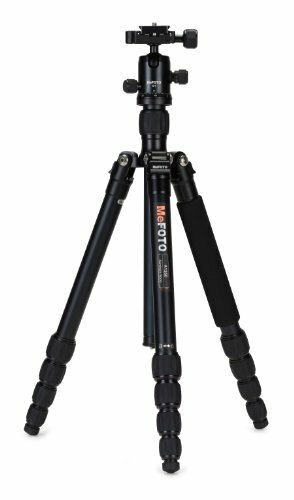 MeFoto does make a smaller and even more compact tripod in the form of the BackPacker ($149) if space is at a premium in your bag, or any other reason you may not want to lug around a huge tripod. They also have the GlobeTrotter ($250) if your height or load capacity requirements are higher. The MeFoto RoadTrip and GlobeTrotter are also offered in carbon fiber ($349-399) if absolute minimum weight is a concern, albeit at a price premium. Earlier this year I was looking to upgrade my tripod setup as I had been traveling more lately, and wanted something much more lightweight than my usual Manfrotto tripod setup (outlined in the next section). After some research, I decided on the combo above. I already owned a small, relatively lightweight, travel tripod that packs down small if I need it to. I wanted to replace my main tripod (the head, mainly) with something stronger and lighter so that I can travel with a full-sized tripod when I needed something more sturdy than my MeFoto. The difference in price between the traveler and the mountaineer series was very big, so that made the choice a little easier. Gitzo offers 4 sizes for both their traveler and mountaineer series (check out the traveler spec sheet and mountaineer spec sheet for outlines on each tripod's specs) — The "Series 2" offered more than double the rated load-bearing capacity than my previous Manfrotto 055XPROB did (about 16lbs/7kg vs 40lbs/18kg), while nearly cutting weight in half (5.4lbs/2.45kg vs 3.7lbs/1.7kg, legs only). The weight savings was a big draw for me in going with the Gitzo legs and Acratech GP head. 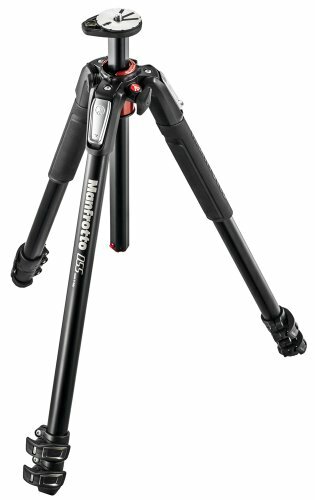 In fact, the entire package weighs over half a pound less than just the Manfrotto legs alone! (4.8 lbs/2.15kg vs 5.4lbs/2.45kg). Being that my previous full-sized tripod weighed nearly 3 pounds more all-in (7.4lbs/3.3kg), This new combo means I can even use it while traveling when I need something taller or more stable than the MeFoto (which weighs in at 3.6 lbs all-in). Overall, I see this setup lasting me a very long time. I paid out the nose for it, but it should (theoretically) last a lifetime, and will likely be the last tripod I'll need to buy, as I don't see my support needs ever exceeding the rated support for this tripod. If I move to a heavier Medium Format system in the future, I may want a heavier, more stable system, but I'll cross that bridge when I get to it. Quick Power Lock Levers improve the rigidity and strength over the previous leg levers. Manfrotto does make the 055 Magnesium ballhead with an Arca-Swiss compatible plate already on it (here). So if you need to save a little money, that's an option. I didn't have that options at the time, so I had went with the ProMediaGear C60 clamp, which has been great for the last 3 years. The 055 series legs are also offered in carbon fiber ($388), if weight is a concern, again, at a premium. Since I got the Gitzo, my old 055XPRO Legs have now been re-purposed into a DSLR Video Tripod. The legs are now fitted with a Manfrotto MVH502AH Fluid Head that's perfect for small to medium-sized video cameras (I occasionally use a Blackmagic Cinema Camera on this setup, and it works fine). The Manfrotto setup has served me well over the last 6 years, and I only really needed to replace the head, but since I was already at it, I thought I'd finally get a Gitzo, as I'd always lusted after them and the Traveler and Mountaineer series pack down smaller than the Manfrotto, due to its 4-section design (Manfrotto does offer 4-section tripods, though). In all, a good tripod will last you a long time — so buy what fits within your budget. There are plenty of choices out there, and these are just what I own and use, and my application for each. If I were to buy one in each category or price bracket today, I may have gone a different direction, but these were what I went with at each point in time when purchasing. If you have any questions or comments, leave 'em down below, or shoot us an e-mail! And, as always, if you're thinking about buying some gear, use our Amazon links throughout this article or down below; it helps us create content that you like to read or helps you out, and it costs you nothing — win/win!